It’s gettin’ hot in hur! Sugar City will be hosting the 13th Annual Vegan Chili Cook-Off on Saturday February 28th, 2015. Let’s face it; it’s cold outside. Warm up on a Saturday night at Sugar City with their 13th Annual Vegan Chili Cook-Off! Bring one pot of your best chili for a chance to win prizes to local establishments! Not up for making chili? Come, hang out and eat chili. This is a FREE event. votes will be collected at 8:00 and winner announced shortly after. Sugar City is located at 1239 Niagara St. in Buffalo, NY. 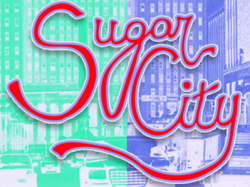 You can read all about Sugar City and their mission on their About Us page. In short, Sugar City exists to organize alternative community, arts, and cultural events in the Buffalo area, particularly emphasizing music, films, poetry readings, art galleries, workshops, and workspaces. Your email can get you hot restaurant reviews, recipes, and the latest goings on in Buffalo! Recent reviews by Taylor H.